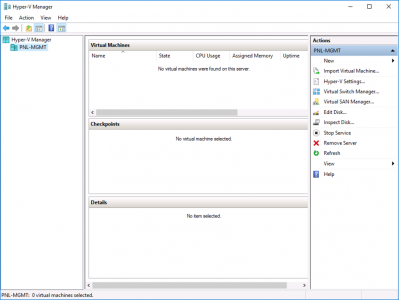 OK, I love VMware, vSphere has put food on my table for the past 10 years! 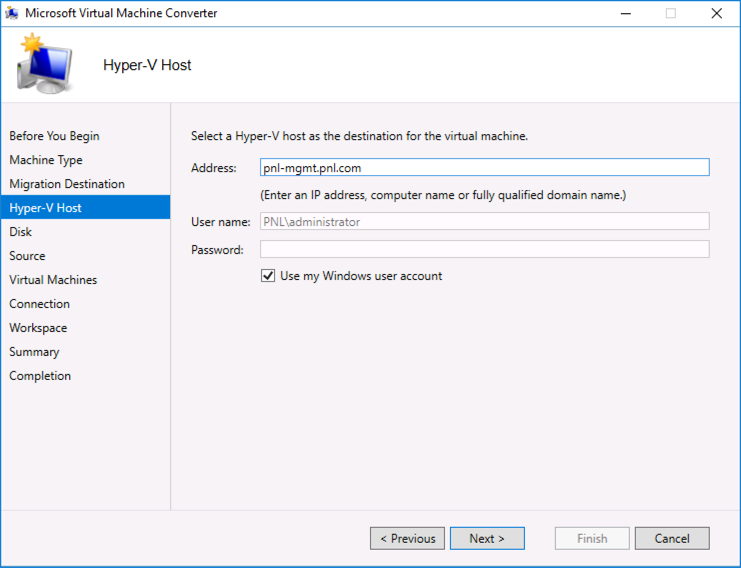 But the fact remains plenty of people are now using Hyper-V. 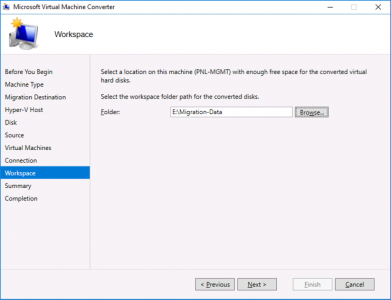 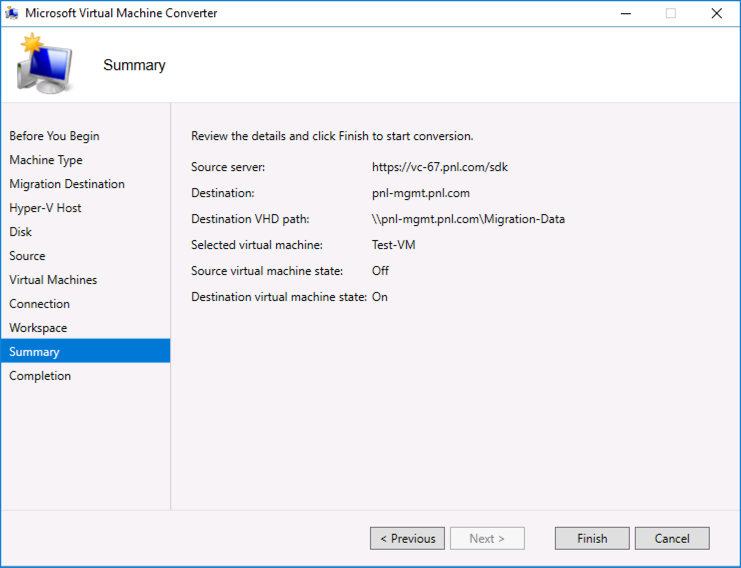 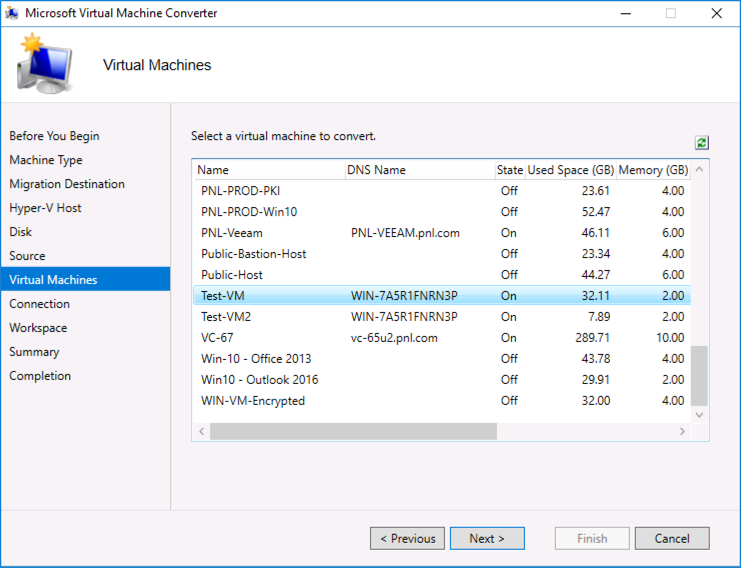 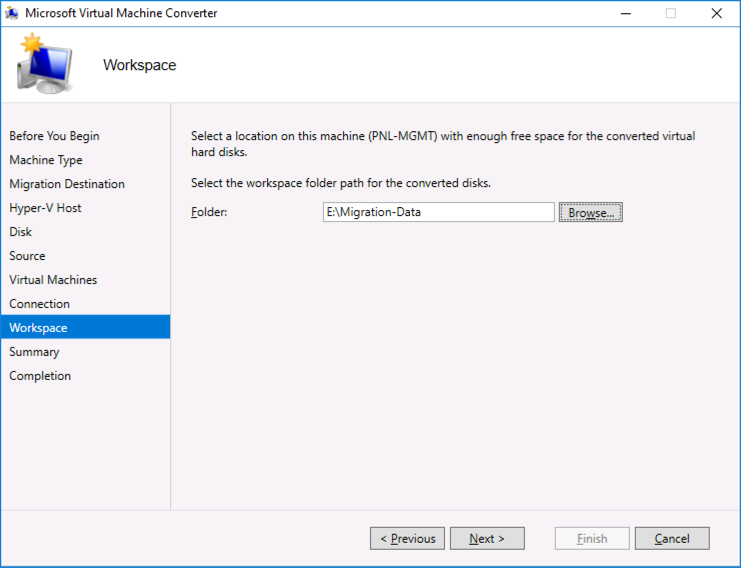 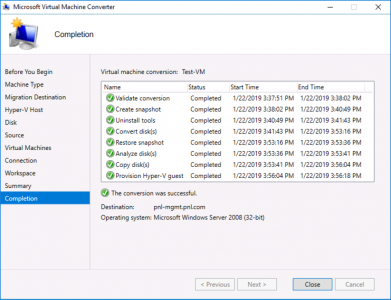 Recently I’ve been looking at migrating VMs from VMware into Azure, and while looking at the MVMC (Microsoft Virtual Machine Converter), to do the task, I thought I’d run thought the Hyper-V conversion route first. 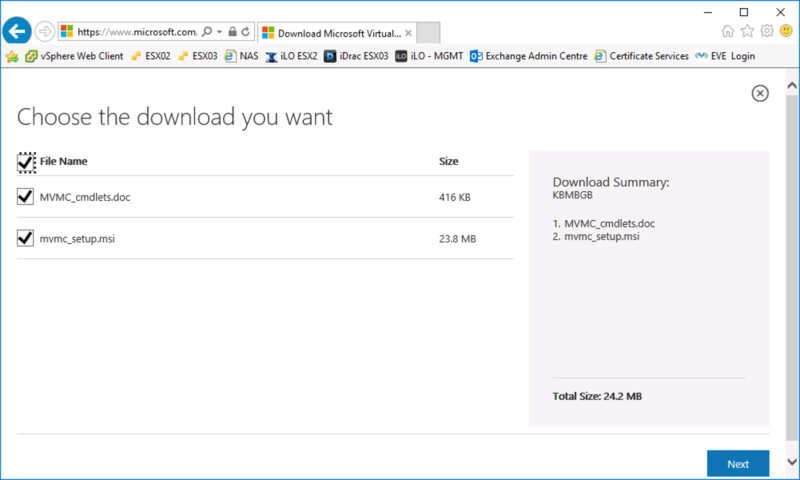 MVMC has actually been depreciated now, but you can still download and use it, and it works fine with Server 2016. Obviously you need a working Hyper-V server to Migrate into, I’m using Server 2016. 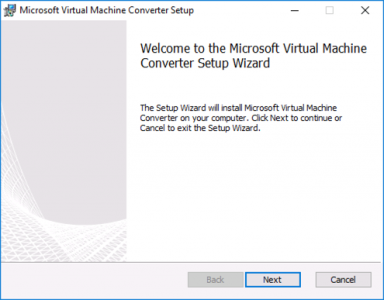 I’m going to install it on the Hyper-V server itself, (you don’t have to, but it keeps things nice and simple). 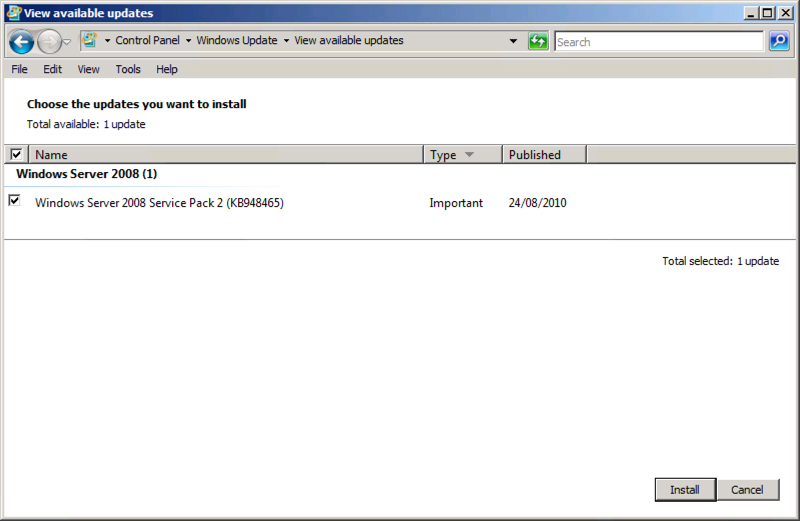 I wont bore you with the install, run the installer and accept all the defaults. 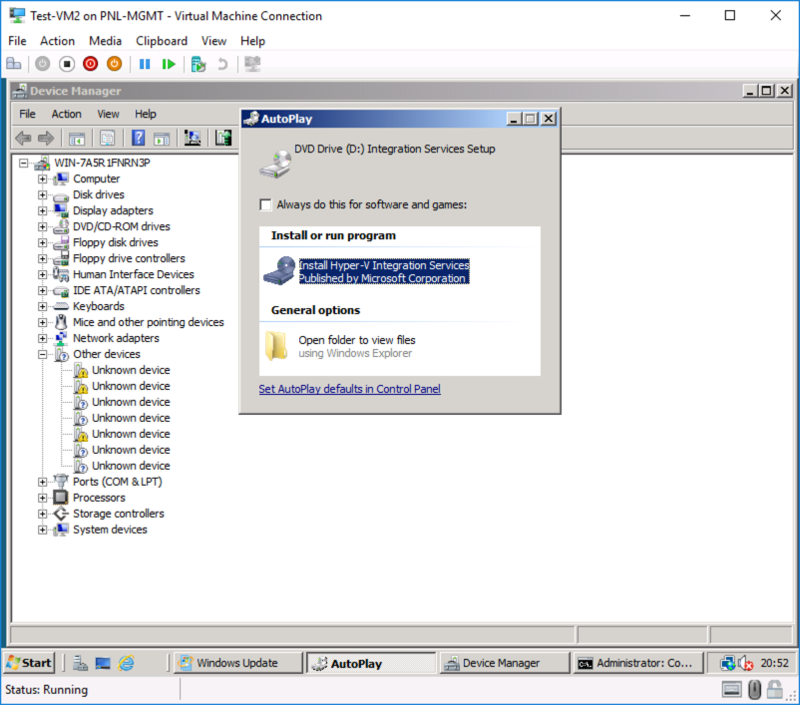 Not until Server 2008 R2 did Microsoft include all the drivers and files needed for a Windows installation to run on a Microsoft Hypervisor. 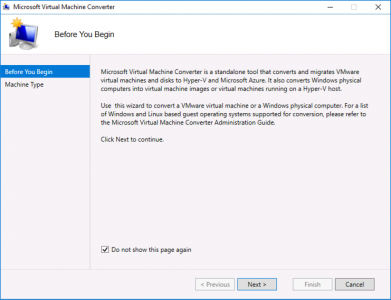 So If you are planning to convert Windows server 2008 (or earlier) then make sure you have applied all the windows updates before you start. 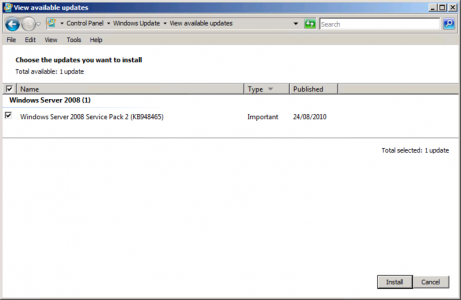 With Server 2008 make sure you are (at least,) at SP2. 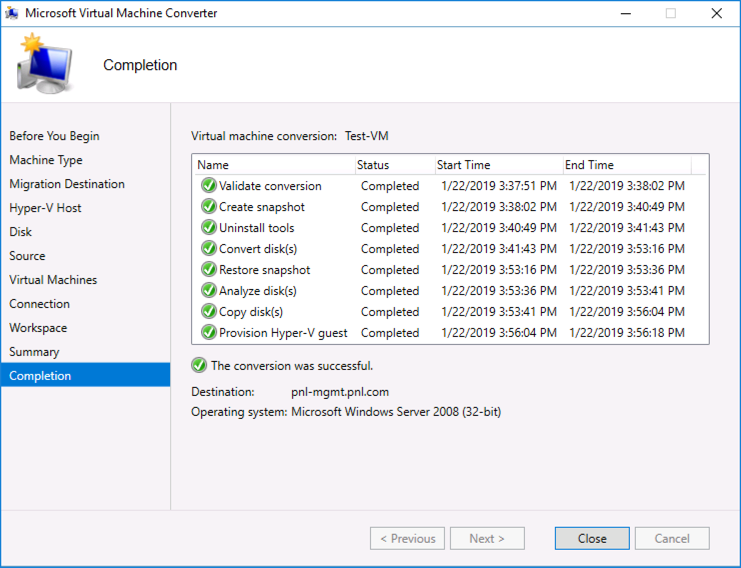 Launch the MVMC > Next. 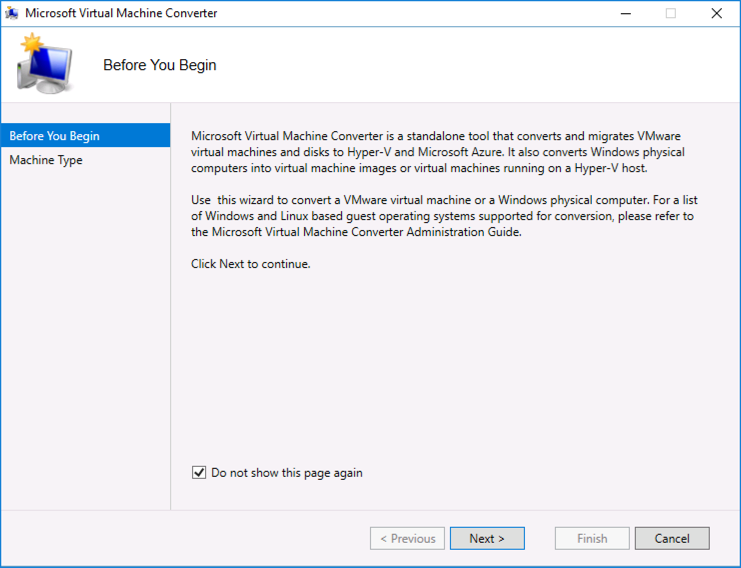 Virtual Machine Conversion > Next. 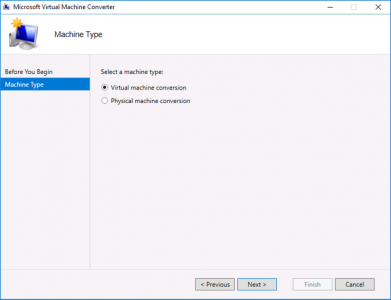 Note: If you convert a physical machine it will convert each disk partition (including the 350Mb one,) into a separate virtual disk (.vhd to .vhdx). 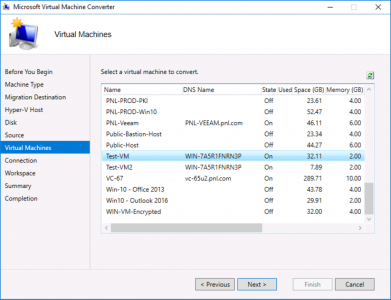 It will do the same with a Virtual disk but who is partitioning VMDKs? 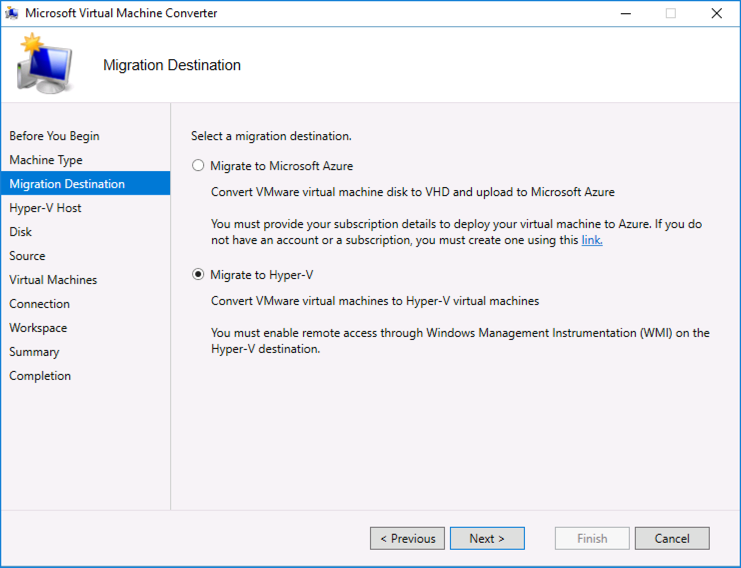 Migrate to Hyper-V > Next. Specify the name of your Hyper-V server and credentials > Next. 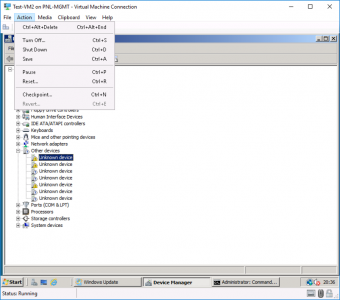 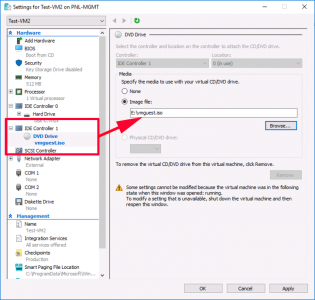 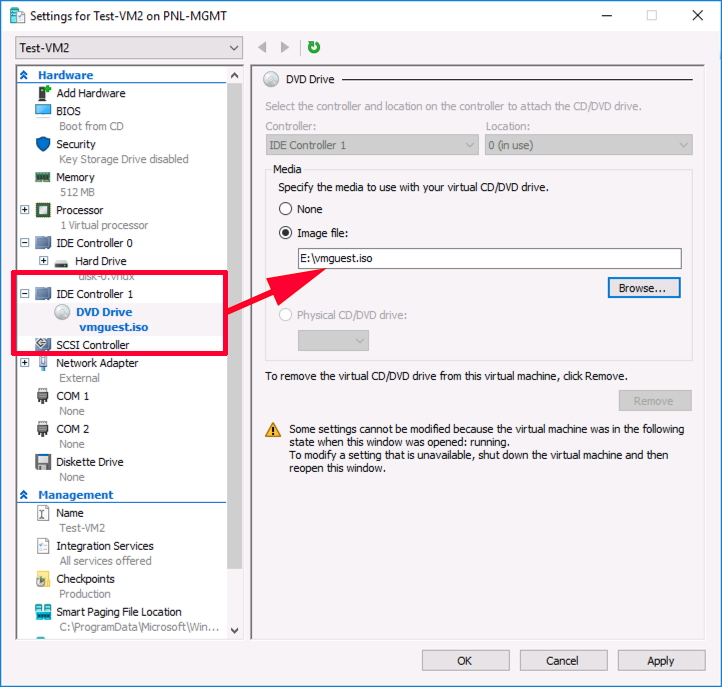 Enter a UNC path to the folder in which the converted virtual disks will live > Choose fixed/dynamic disks, (that’s Thick or Thin provisioned If you are a VMware type) > Select the disk type VHD or VHDX* > Next. *Note: 2TB or 64TB Limit, (and vhdx will only run in Hyper-V). 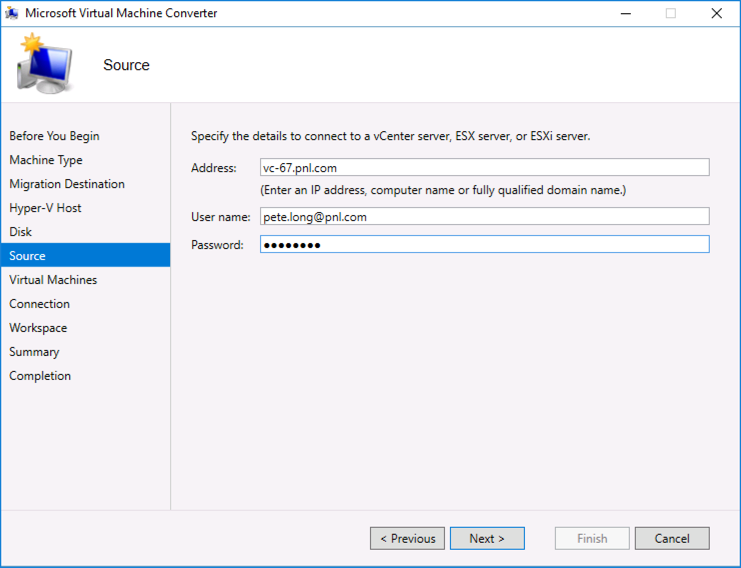 Provide the access details for your vCenter, (or ESXi Server) > Next. Select the VM you with to convert > Next. 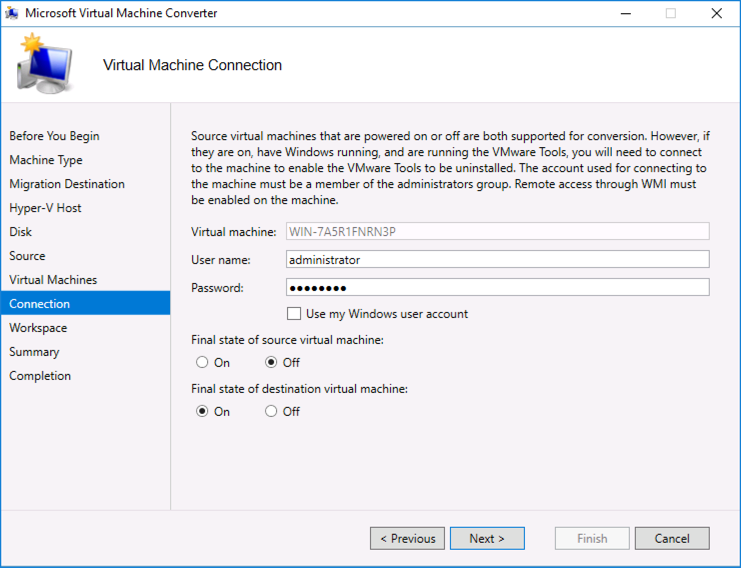 My VM is not a domain member so I’m supplying the local administrator credentials > I want to power the source VM off when conversion is done, and power on the converted VM > Next. 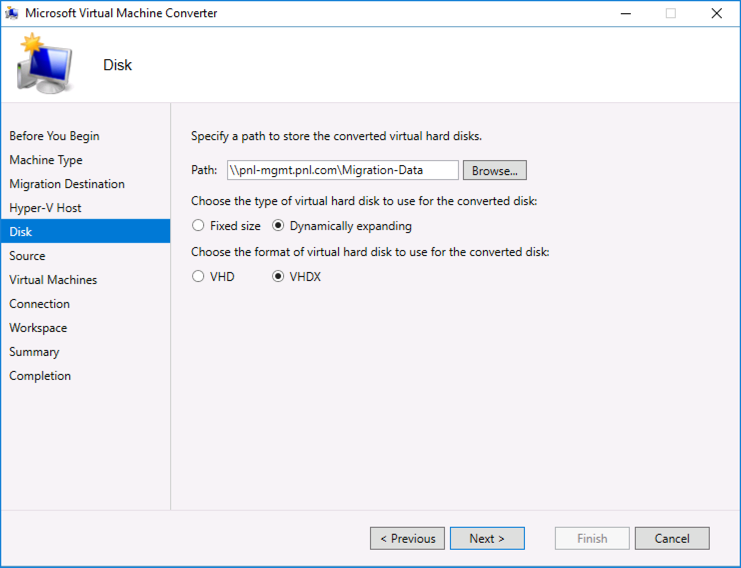 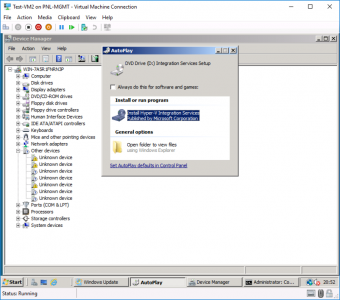 Unlike Hyper-V 2012 R2 (and earlier) now there’s no option to insert the Integration Services disk, and it’s no longer installed with Hyper-V 2016 (Thanks Microsoft!) 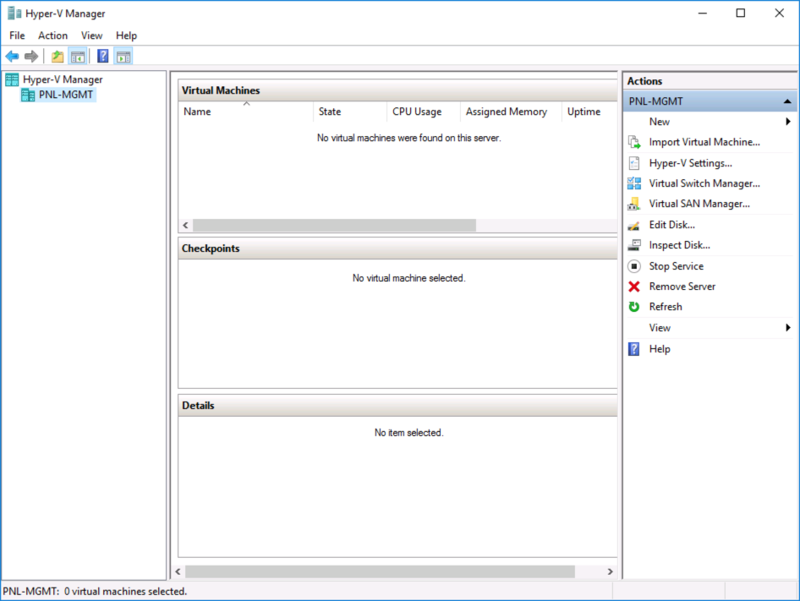 As you can see my 2008 x32 server is missing a few drivers and it is complaining. As I’m a top bloke I’ve got the CD iso below for you, download it and present it to your OLDER (pre 2008R2) Operating system. 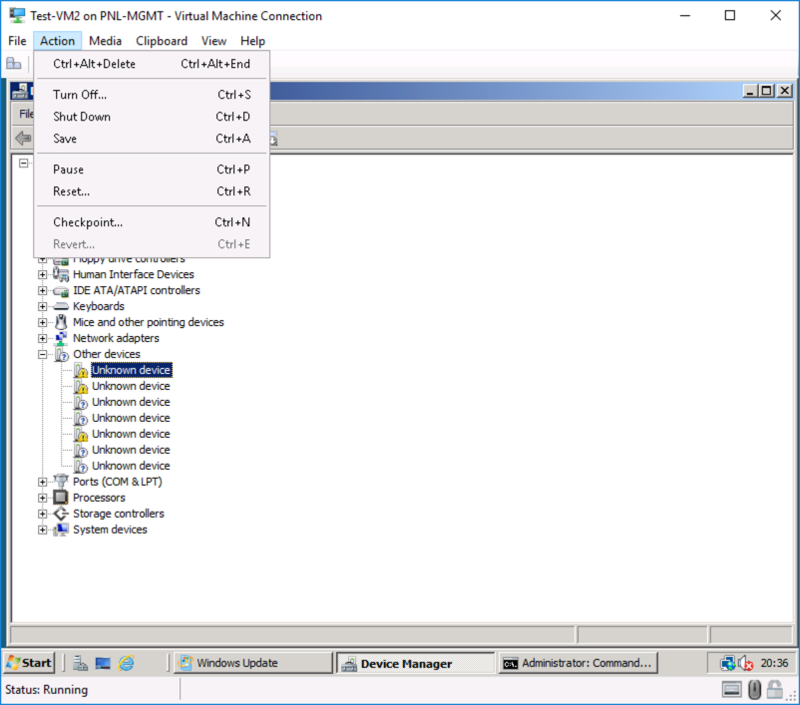 If you have a modern OS the drivers will all be in there anyway! 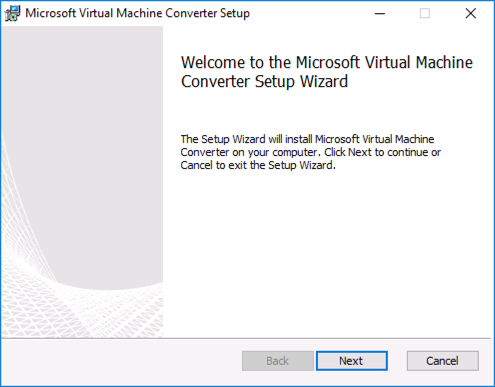 Now simply run the installer.